The Oncology Unit was a welcome additional to services at the Wangaratta Hospital. It now offers chemotherapy treatments to patients in the local district which has greatly reduced the need for patients to travel to Melbourne for their ongoing treatments. This was a joint project between the Victoria Police Blue Ribbon Foundation and the local community through the North East Branch. 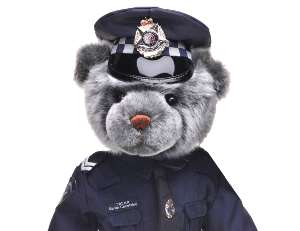 The Oncology Unit was dedicated as a Police Memorial to Senior Constable Rennie Page who was killed in the line of duty is 2005. On Tuesday 26th April, 2005 Senior Constable Page of the Benalla Traffic Management Unit was conducting traffic patrol duties on the Hume Highway near Benalla. He intercepted a vehicle which parked on the left shoulder of the road. S/C Page was speaking to the driver when another vehicle travelling north struck him at high speed, killing him instantly.